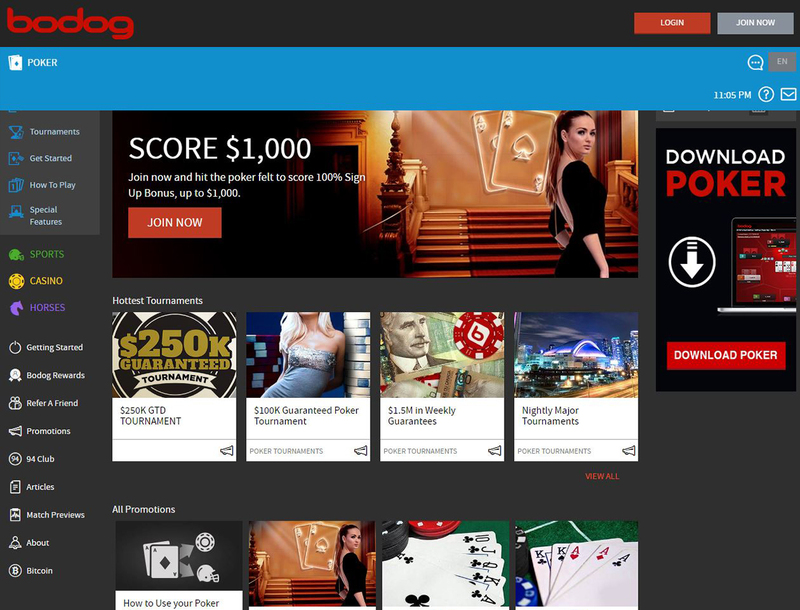 Bodog, which was founded by Calvin Ayre, is one of the longest running online gambling sites. It began its operation by offering sports wagers in 1994. 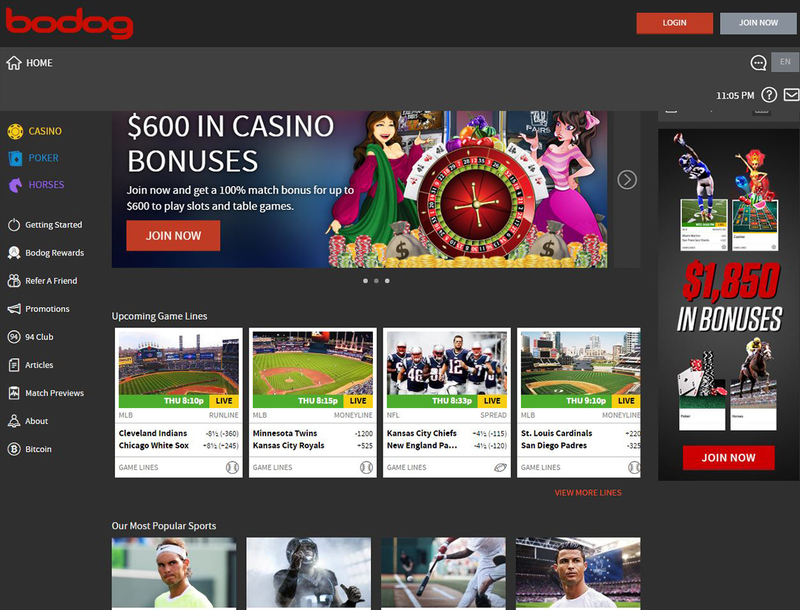 Over time, it added a loaded casino section that has hundreds of games to play with. One of the biggest additions poker room. 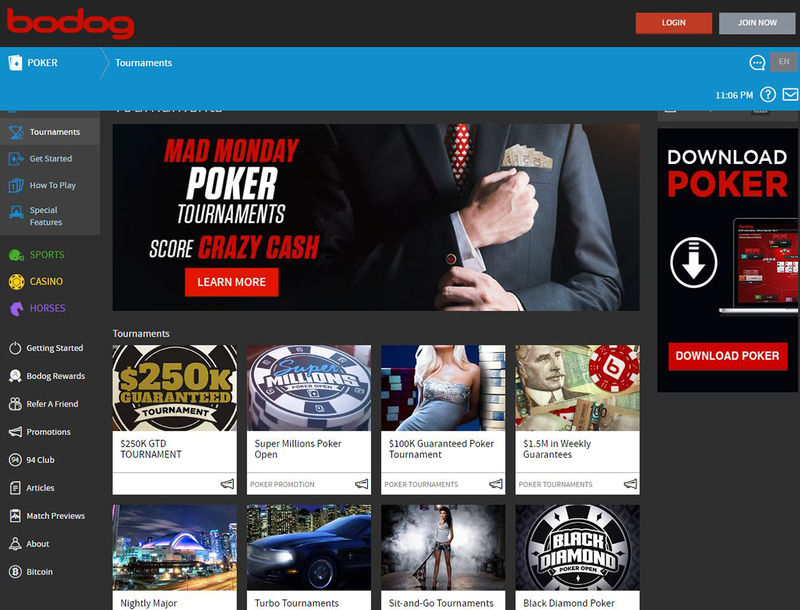 Bodog is running on Realtime Gaming platform, which offers a large variety of casino slots, table games, and other kinds of games. This casino has an Antigua Online Gaming Association license. Every casino that has this license must go through regular inspections. These inspections check on the fairness of the games, anti-money laundering measures, and finances of a casino. Check if this review will agree with what most of the Bitcoin poker room reviews say about Bodog. The site’s Bitcoin poker room offers the same excitement as a televised Vegas poker table. This is due to the poker software features that allow for a fair and thrilling competition. To get the stakes as high as the ones in a Vegas high roller table, there is a massive bonus that can reach up to $1,000 on your first deposit here. Bodog offers six different poker variants such as Omaha and Hold’em. These variants are available in limit, no-limit, and other cash game formats. Most of the games usually have a low buy-in price and prize pot. However, the site is generous with tournaments with large prize pools. This includes its weekly $100,000 Bitcoin poker tournament. One of the features of Bodog is its anonymous tables. The table hides a player’s name and anything that can identify them. This prevents pro players from hunting down new players. There is also a feature called Zone Poker in the software. This allows you to move to a new hand with other players when you fold your hand. Zone Poker helps you keep the action going by skipping the time spent in waiting for other players to finish their turns. New players qualify for a 100% bonus up to $1,000. Bodog’s is paid out according to the amount of poker bonus that you earn. There are eight poker levels over all. The lowest level only requires 15 poker points which will give you the $5 part of your bonus. The highest possible level requires 10,000 points to give you the $1,000. You will need to use your full name, address, and other info to sign up for an account. Bodog accepts Bitcoin deposits. At this time, there are no Bitcoin withdrawals available. To withdraw, you can use credit cards or a bank wire option. Moreover, there is a phone support line available when you need help. You can reach out to a support team via the contact form on the website or through their support email.